Here’s the last page of this story (aside from the epilogue). Hooray! Progress. Not doing another long story like this for quite a while. After the epilogue is over, this whole series of stories will have spanned 44 pages. 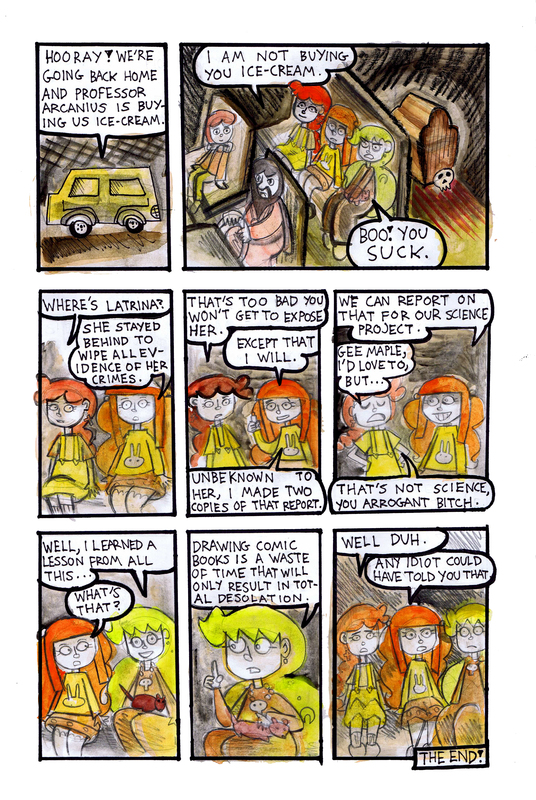 So, I’m switching over to a strip format, and most of the time, I will probably be coloring it digitally. I’ll be doing stories, but offline so I’ll be able to do them at my own pace. Then I’ll probably print them. We’ll see.